Ships tomorrow if you order in the next 21 hours 52 minutes. 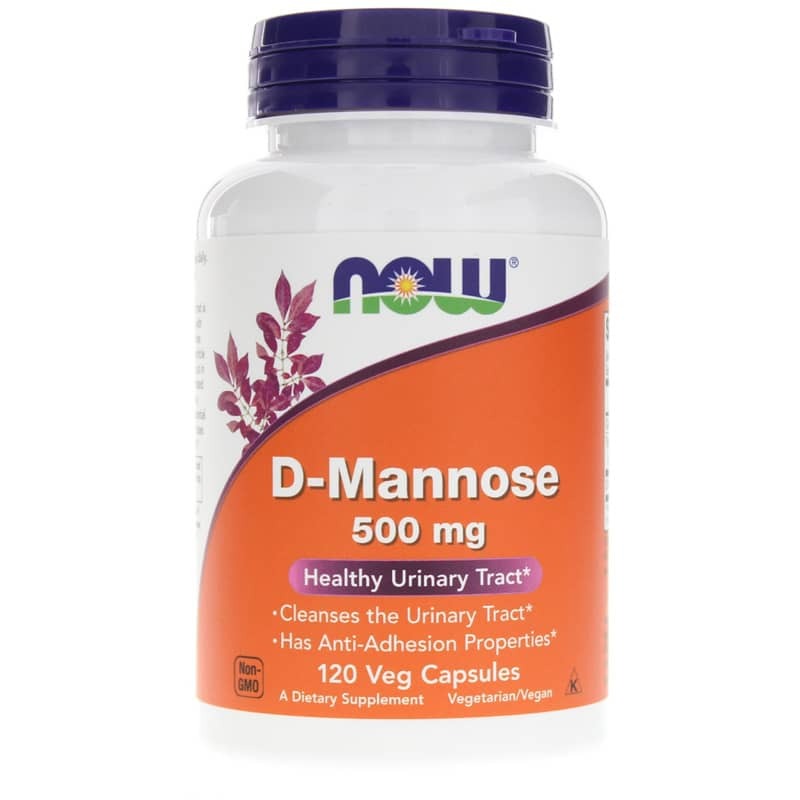 D-Mannose Capsules from NOW is a natural supplement that washes away undesirable particles and supports a healthy urinary tract. D-Mannose is a simple sugar that occurs naturally in some plants, including cranberries. Although small amounts of D-Mannose are metabolized by the human body, much of it is rapidly excreted in the urine. In the bladder, D-Mannose can adhere to undesirable foreign substances, stopping them from sticking to the lining of the bladder. Because insubstantial amounts of D-Mannose are used by the body, it does not interfere with blood glucose regulation. Other Ingredients: cellulose (capsule), rice flour, stearic acid (vegetable source), magnesium stearate (vegetable source), silica. 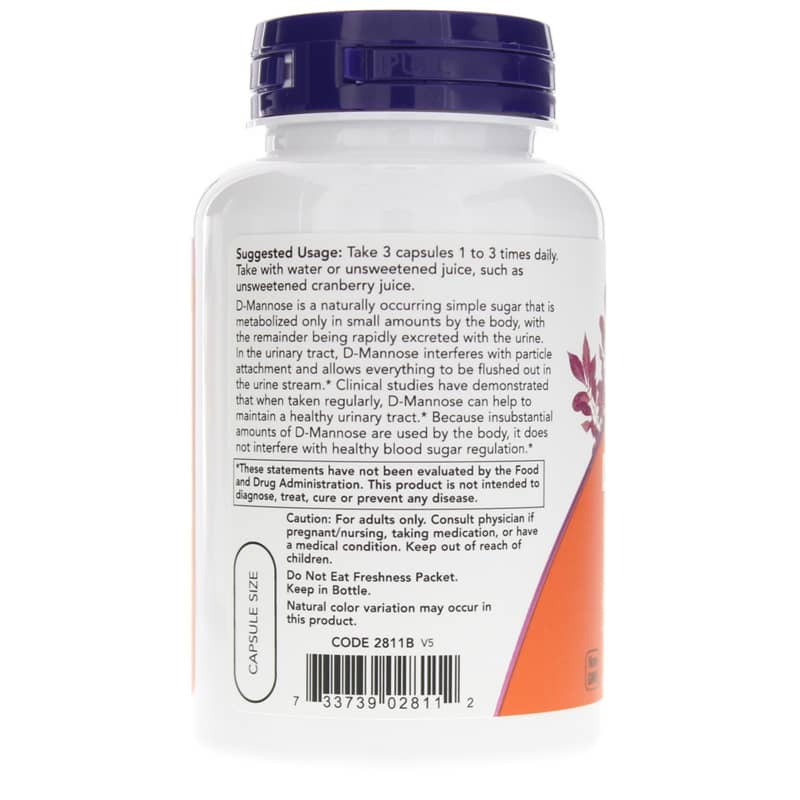 Adults: Take 3 capsules 1 to 3 times daily. 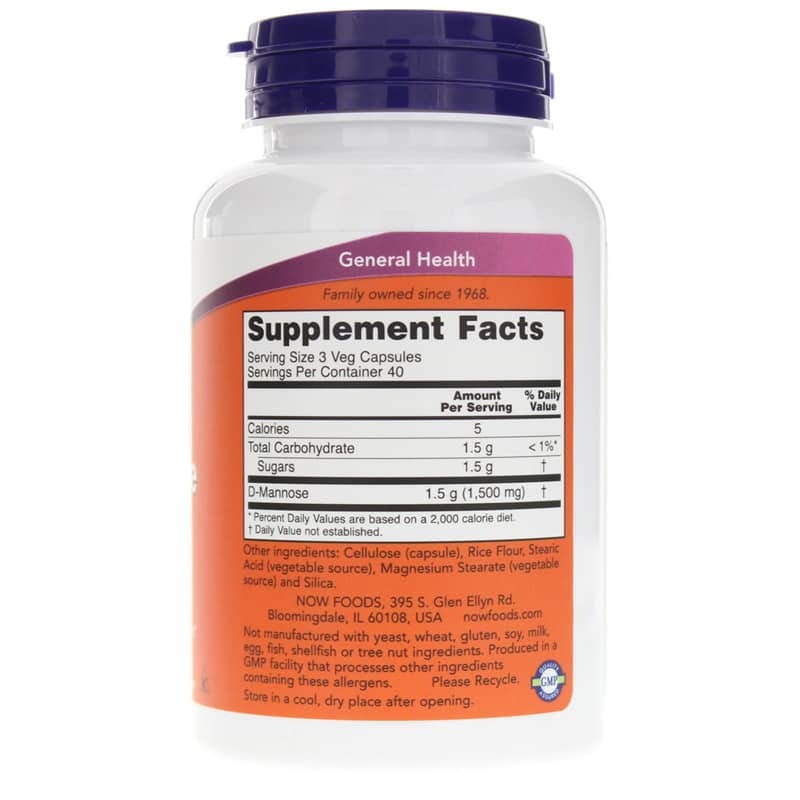 Take with water or unsweetened juice, such as unsweetened cranberry juice. The pills are rather large and a little difficult to swallow, but is a convenient way to take D-mannose (rather than mixing powder in water) especially if you are away from home. Love the product and the rapid service. Will buy again. If I say what it does for me you won't accept it. Apparently the only thing I can say is "like" or "dislike". Seems the FDA won't allow opinions, so it's just a waste of time.